we've spent most of the day shopping and working on nice-ifying the home. it's going very well! we found a lovely (and fairly cheap!) 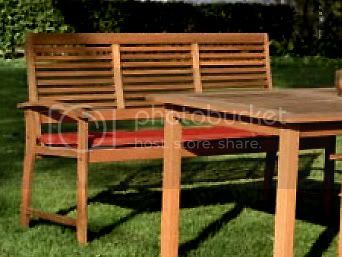 three-seat outdoor bench for the balcony, a lovely flower shelf thingy (also for the balcony), some pretty flowers (violets and campanula! ), three yummie shirts on sale for marp, pretty green curtains with leaves for the livingroom, and some recycling bins (marp is passionate about recycling). it's exciting. 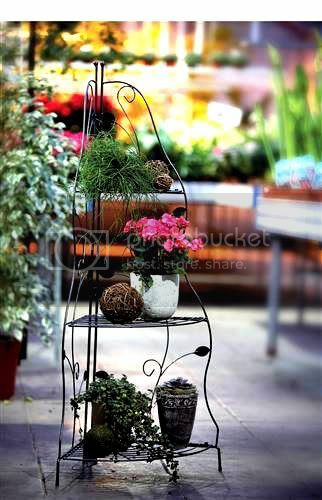 pretty pretty flower shelf thingy! for the balcony. we're filling this thing with massive flower overload. maybe some tomato plants on the bottom shelf... the scent alone...waaah! 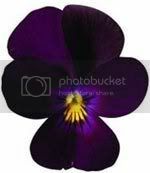 we bought a huge potted plant of these lovely violets that will spill all over the top shelf of the flower shelf thingy. preeetttyyyy. 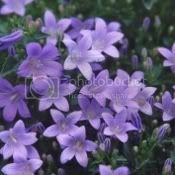 and some campanula plants for, yes, you guessed it, the balcony. over the week, i hope to buy loads of really bright purple and pink petunias, some white marguerites, and something nice and blue - we have three long balcony thingies to fill. 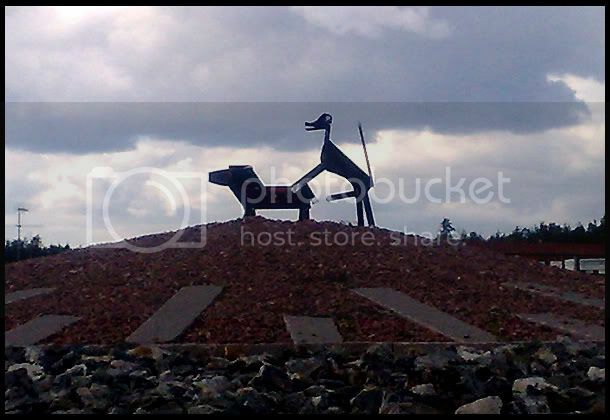 as an added bonus for clicking, here is a photo i snapped of some road art.. in sweden, people make roundabout dogs and put on display anonymously. 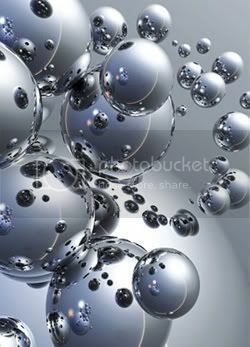 (the link leads to wikipedia, with plenty of examples). this is the two dogs we came across today at a roundabout that has fairly heavy trafic. hehehe. enjoy!